Our team lost the Superbowl. Congrats to the Super bowl Champion then. For Project 365 and I missed to post this yesterday because we got home tired from our trip to Weirton. I was gonna post this early today but I got caught with lots of things and then The Superbowl, and facebooking and more. 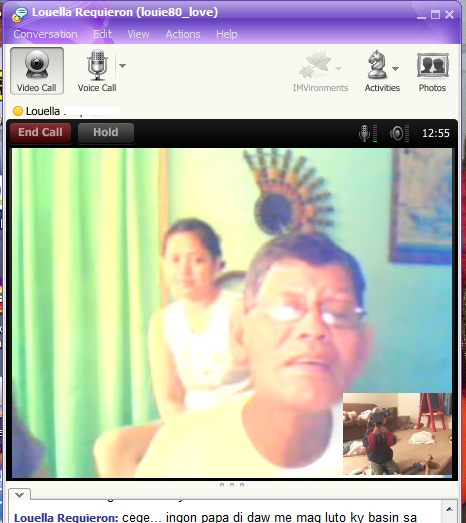 I video chatted with my family back home when we got home from WV and finished chatting with them past midnight. We drove to West Virginia and Hangout with Cottrill Fam. Jake had so much fun playing with Rylie and EJ. Two is enough for us and no plans of having another baby. I did not have my period last month so i tried to have a pregtest. Im glad it was negative. For the first time he pooped in potty. Still not fully potty trained though. It was snowing outside but the little man wanted to show off his body. He took his shirt off and cried if i put it on. Mailed the packages to my friend and the return item to Overstock that they mistakenly sent to me last Holiday season. Hubby cooked some delicious baby back ribs BBQ. wow, katugnaw lang gihapon ninyo diha no? Duul lang diya mu nila Rose Shy? ugh....potty training. One of those seasons in parenthood you are happy to make it through quickly! ha! agoy tawon...nagsubo ang mga fans sa steelers...sige lang...next time diay...ehehehe! am sure you guys had a blast with the bradys and the cottrills...sige pa diay ug snow diha tsang? na dire tawon nibalik naman ug 60plus. ayay, abi ko man ug buntis ka bayot kay nakakita man ko ug 2 lines...lol! way to go Jake...that was a good try! naa pa ribs diha tsang? mau paning imong jose kay kabawo pa moluto. 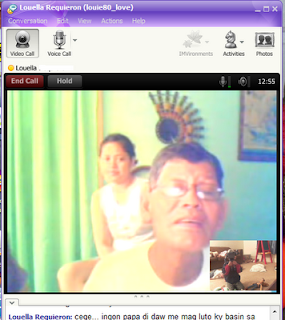 What a wonderful thing to have video chats these days for people who live far away! Buti ka pa bading nakakachat ang family, ako nasa bundok ang aking mga kabarangay hehehe.. Gkad that Jake enjoyed the stay.. Bait naman ni Joe, naluto hehehe..
ka busy ah ... my daughter was 2 1/2 when she started using toilet bowl but with supervision pa rin.